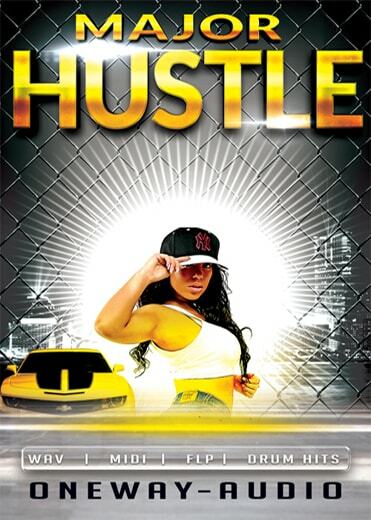 'Trap Hustle Vol 2' is the second installment of this Trap Hustle series. This pack includes five Trap style Construction Kits. With custom 808s, punchy kicks, Trap brass, bells, strings, pianos, crazy synth melodies and more, this pack has everything you need from Trap sounds to effects, breakdowns and more. This pack has up-to-date sounds and melodies. OneWay Audio focuses on bringing you that authentic Trap vibe. 'Trap Hustle Vol 2' is radio-ready, with all the tools you need to make a Trap hit. Also included are 24-Bit WAV, MIDI and FL Studio files, plus five drum kits. This pack will help you create your next big Trap record. MIDI and FLP files are included to offer you full flexibility.